Yale Safes – July Special Extended!! 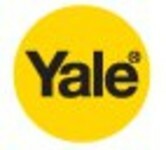 The range of Yale Safes offer a quality product, combined with the latest technology for home or office. We have supplied and installed Yale safes tailored to our customers requirements. To kick start the new Financial Year, we are offered some great prices on Yale safes in July and have decided to extend these great sale prices into August! Check our Yale safes page for details on these great prices!